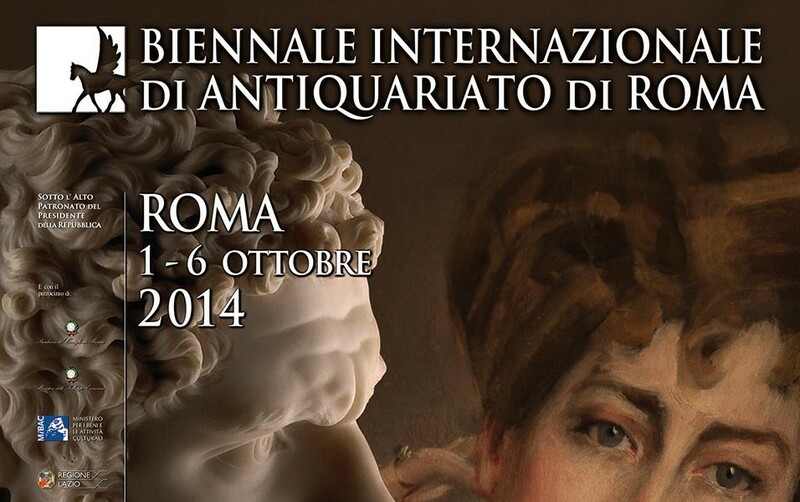 From 1st to 6th October 2014 Rome will house once more the International Antiques Biennial, now in its 9th edition. The Alessandro Cesati gallery belongs to the group of selected antique dealers which exhibits since its first edition, always distinguishing for the uniqueness of the works which have met each time the appreciation of the Roman and International public. This year again the selected works of art will surprise the visitors for their beauty and originality, as for the elegant terracotta bust by Giovanni Gonnelli, called Il Cieco da Gambassi, blind sculptor already famous in the XVII century and pupil of Pietro Tacca, dated and signed “IOANNES GAMBASSIUS, CIVIS VOLATERRANUS, CAECUS FECIT 1646”, or the refined sculpture by Libero Andreotti “La donna col popone”, monogrammed and dated 1917, homage to the characters of ancient memory. The Alessandro Cesati gallery will exhibit also: a very rare example of XVII century Iconostasis Royal Doors from a Greek church, still preserving the wooden and pictorial decoration and a very fine low relief depicting a Nativity, result of the great Southern Italian wax modelling tradition. The wonderful Palazzo Venezia will be once again the perfect context for the International Antiques Biennial which, taking place during the European Semester of Italian Presidency, will present its new concept that focuses the key points of excellence, internationalization, innovation.